As your premier tower painting company, we can come to local or remote locations. When you need your water tower painted or your city building rooftops could use a touch-up, you won’t need to look any further than our team at Shane Davis Tower Painting. Finding a tower painting company that can paint your towers and tallest buildings can be a challenge, but with 35 years in the industry, we have the experience and expertise you need to get the job done. Free Quotes & Consultations – We provide convenient free quotes and consultations to meet your needs, even if you are in a remote location. You can simply send us pictures of the towers you need painted, and we can discuss your options before coming to the site. Local or Remote Locations – It is important to us to be available no matter your location. As your premier tower painting company, we can come to local or remote locations to provide the services you need. Quality Workmanship – The last thing you need is to hire a tower painting company that doesn’t do the job right, so you have to call again and again to have your towers or city buildings repainted. Our quality workmanship speaks for itself, and your towers and city buildings will look their best with durable, streak-free coatings that last. 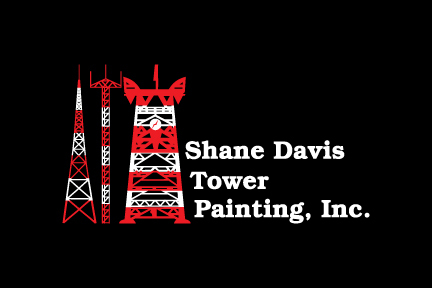 At Shane Davis Tower Painting, we understand that having your city’s landmarks and towers can be quite an undertaking. Our job is to make this service as convenient as possible by working with you no matter your location or how big or small the job. Once you have worked with us, you won’t need to call anyone else. Contact us today to get started with your free quote and consultation.